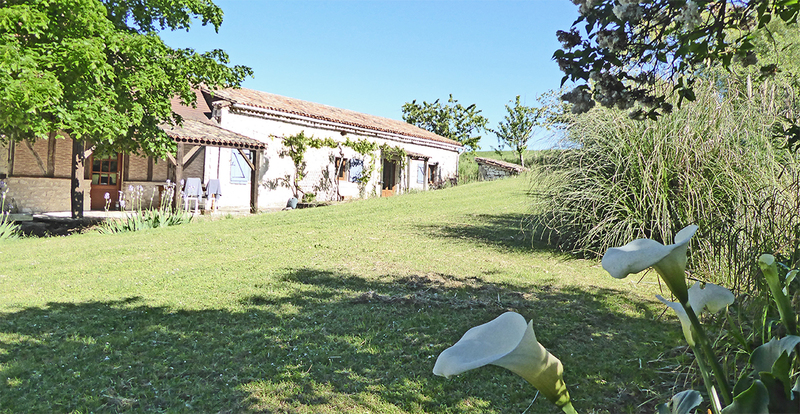 Latuque is located in 2.5 hectares surrounded by beautiful vine and sunflower-filled countryside close to the South Dordogne / Lot et Garonne border. 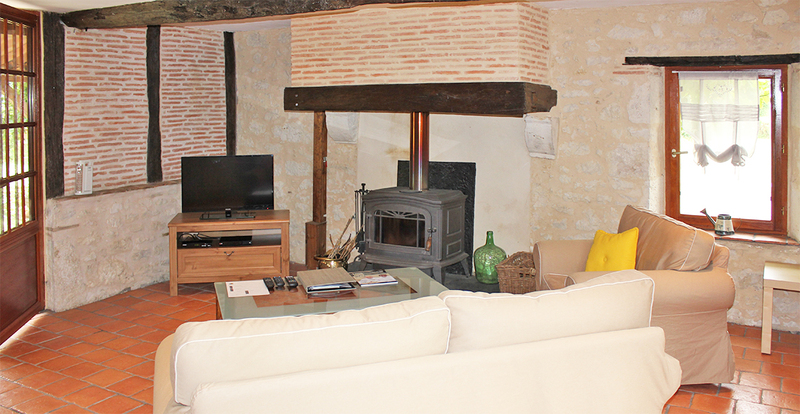 A quaint village is just 1 km away and the larger Bastide towns of Issigeac and Castillones are just a 5 minute drive away. 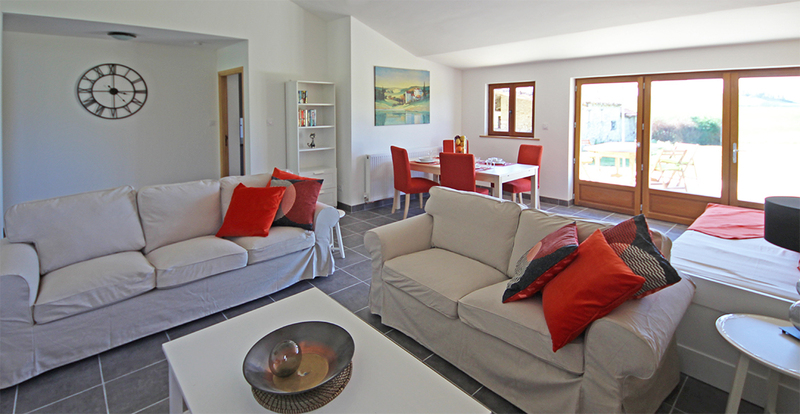 The owners, who live on site in another property, have lovingly created two beautifully appointed gites which are combined via a connecting door to sleep one group of 6 family or friends - so you will have two lounges, two kitchens and two bathrooms to choose from! 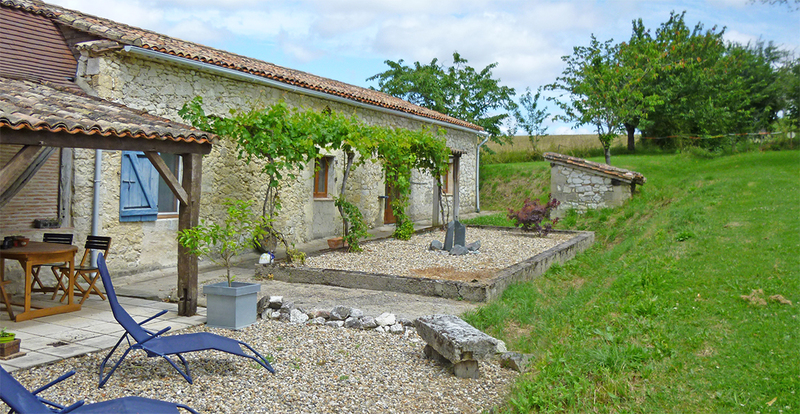 The property is superbly situated for touring the Dordogne and Lot et Garonne with their many attractions. 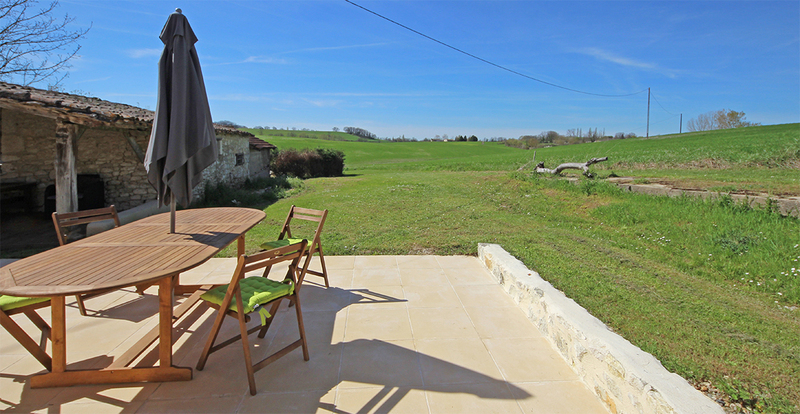 Bergerac Airport is just 30 minutes and Bordeaux Airport around 2 hours drive on very quiet roads through vineyards and stunning countryside - ideal for a relaxing start to your holiday. 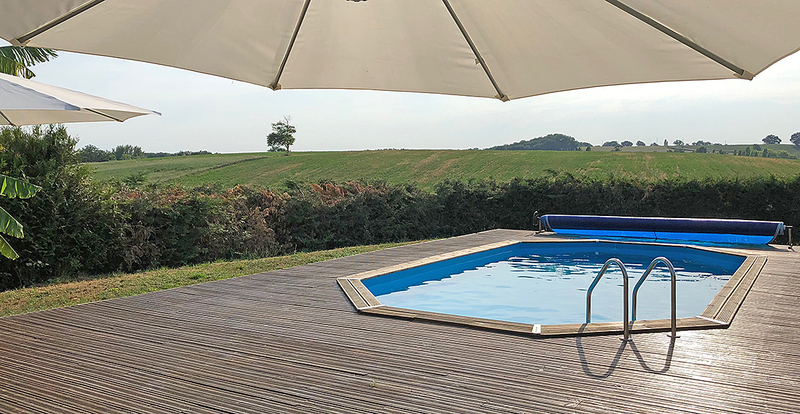 There is a 10 x 5m pool with far reaching stunning views, perfect for catching the rays or a spot of star gazing which is very spectacular in the dark skies of our region as there is very little light pollution. If you like fishing, there is a fishing pond in the grounds where you can while away a few hours, maybe with a picnic. 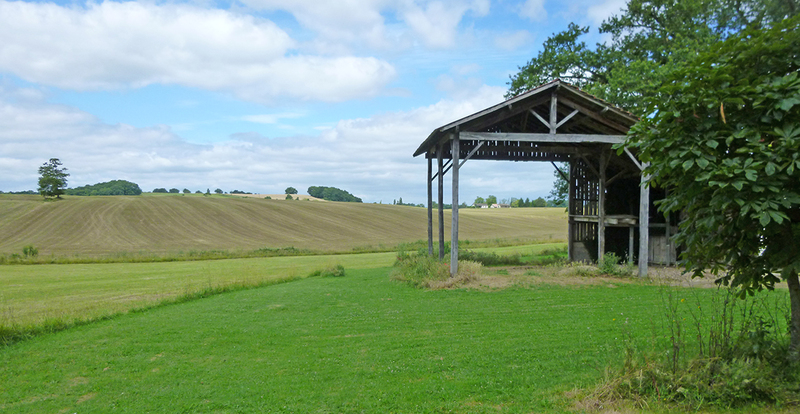 Many walking routes surround the property and there is direct access to one of them. Wildlife is very abundant and you won't be disappointed by the various birds and animals you will see - deer, red squirrels, jays, cranes, woodpeckers, and much more. Two resident hens and two adorable fluffy cats live here too! 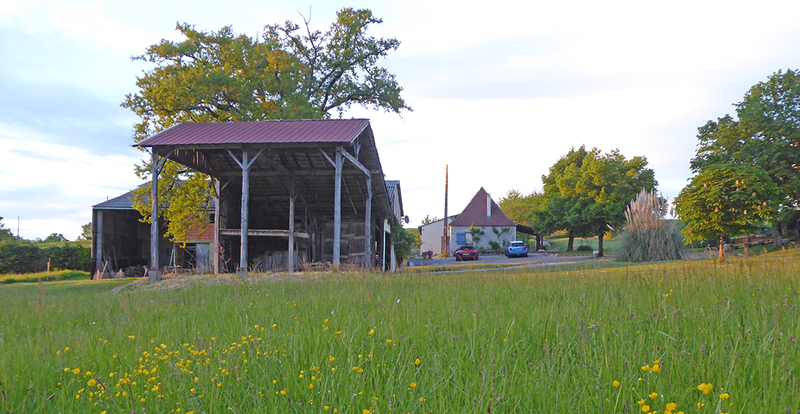 Nearby is a "bio" farm where the owner opens up a shop a couple of times a week so not far to go for your fresh veggies! 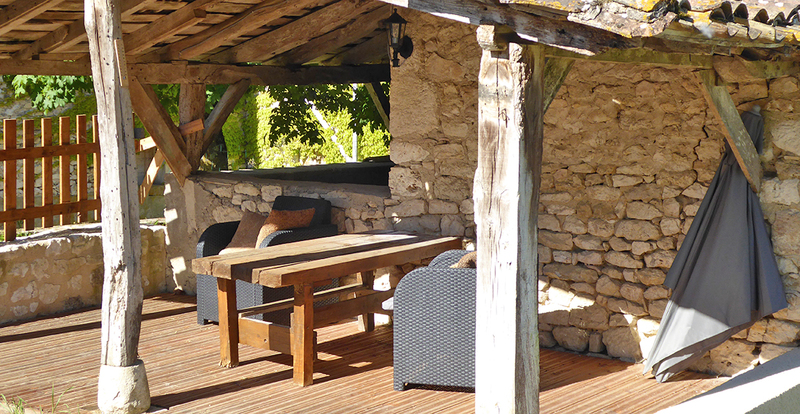 The Dordogne, Garonne and Lot rivers are not far away should you wish to partake of the many activities on offer such as kayaking, river cruises and swimming beaches. South West France is just about the largest wine growing region so it's no surprise that wine tours are very popular where various wines of the region can be sampled and often lunch is provided. 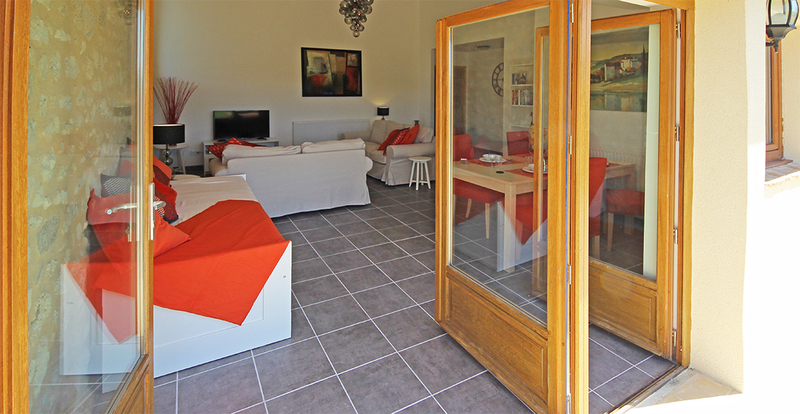 A charming 90m2 one bedroom gite. Entering from a quaint patio perfect for eating al fresco, soaking up the sun or star gazing this unit has been beautifully finished to reflect French charm. With its terracotta floors, stone and brick finished walls, cozy, charming and relaxing are the words which come to mind. 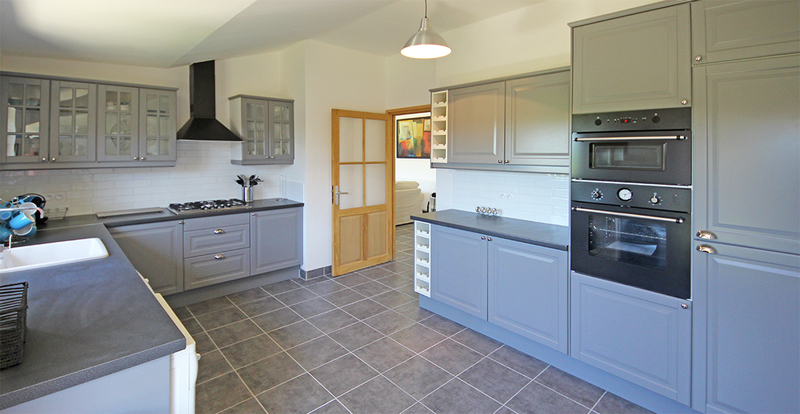 The open plan living area contains a well equipped kitchen, dining area and lounge. 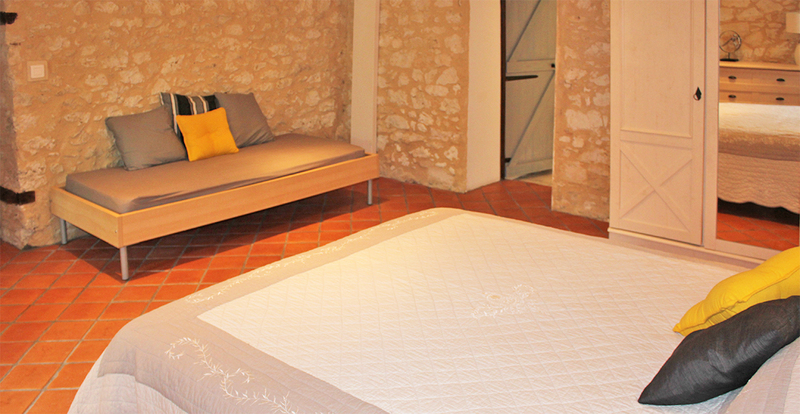 The bedroom is furnished with country inspired furniture with a queen sized bed and daybed - perfect for single or couples holidaying alone or with a small child. There is also a travel cot if required. Insect screens are fitted to the windows. 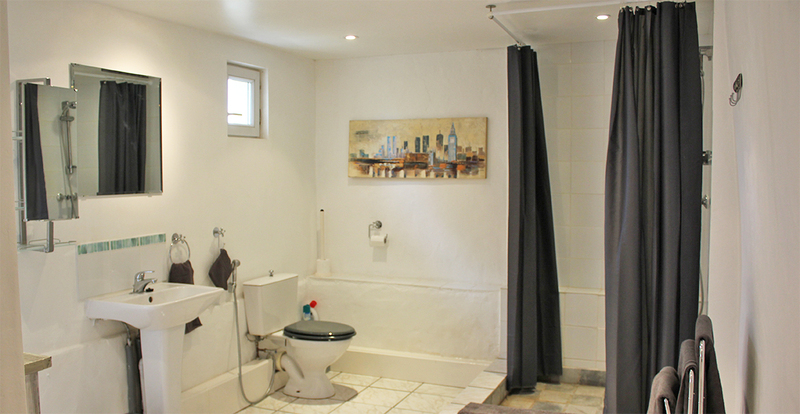 The bathroom is vast with a large shower, great for cooling off at the end of the day. 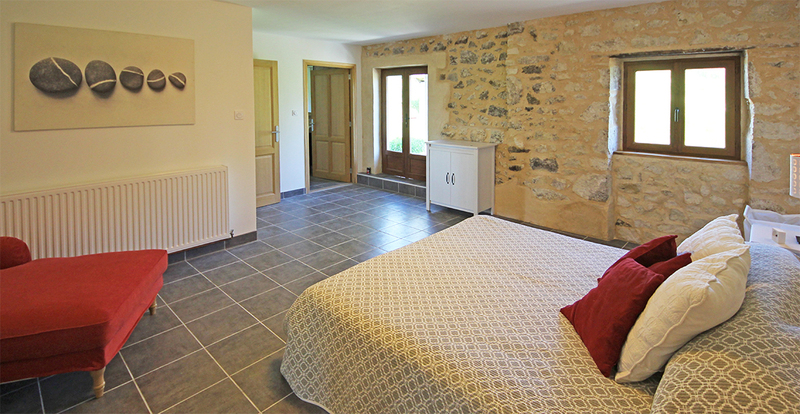 The largest gite has two bedrooms at just over 100m2 with a modern twist. With its own private garden, patio, covered terrace and modern twist, it will intrigue you. 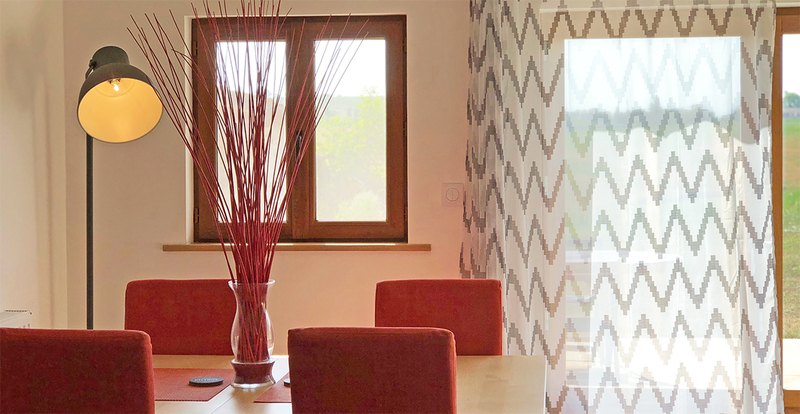 The expansive lounge and dining area with stone finished walls and modern flooring will entice you to open the large folding doors into your private garden and tiled patio where you can dine al fresco looking over the fields, watching the sunset in the distance while sipping a chilled glass of the local wine. 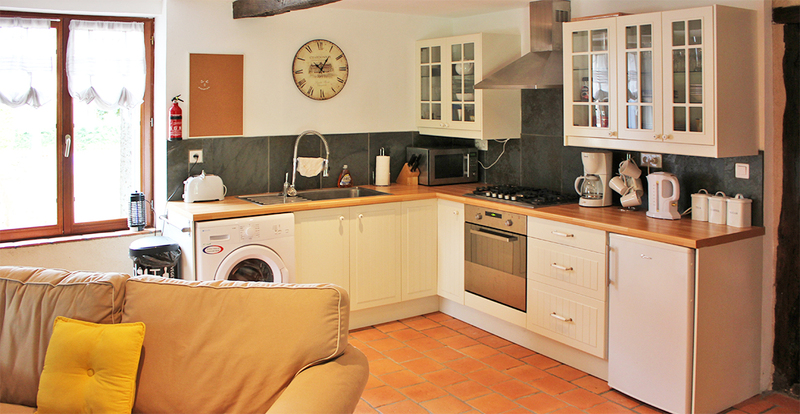 ​The separate kitchen complements the modern look, is very well equipped and even has a dishwasher. The large bedroom is furnished with country inspired furniture with a king sized bed and seating area, the other bedroom has twin beds. Insect screens are fitted to the windows. The 'wet room' bathroom with rain shower is something a little different and we're sure you'll love it! 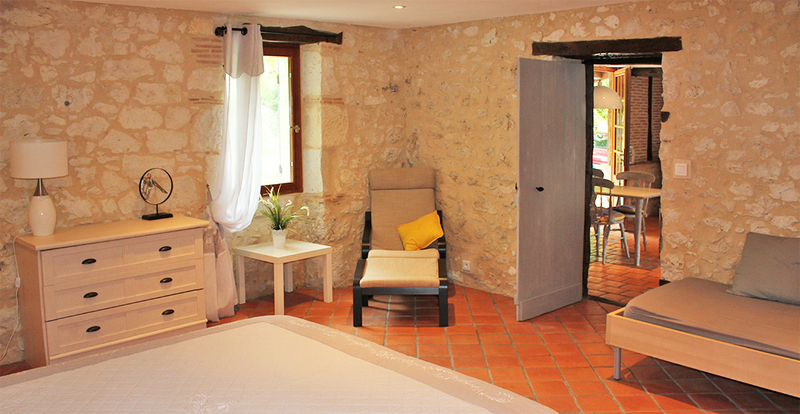 WE LIKE... ...it's lovely peaceful location with fishing lake between two beautiful bastide towns. Two lounges, kitchens and bathrooms to choose from!